Monday morning and back to work! Thank you to everyone who came to see us at the Great British Craft Festival at the weekend it was so nice to see so many familiar faces. 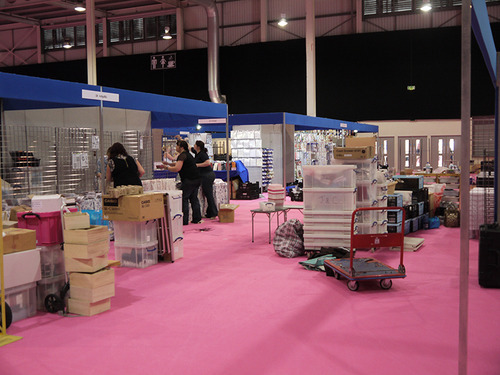 Friday was a hard days work with the setting up of our stand, your can see all the boxes piled up ready to unpack. Wednesday I will bring you pictures of the beautiful samples that were being demonstrated over the weekend.